Book Babies is designed to help your child develop their early literacy, motor, and social skills. Come enjoy songs, rhymes, stories, and playtime with your 0-3 year old. Reading with your child is not only a great way to help your child develop important literacy skills, but is also a wonderful way to bond and create memories with your child. Enroll in this fun, low-stress program and start reaping the benefits of reading together today. Pick up a packet with information and a reading log for books 1-100, or download and use the free 1,000 Books Before Kindergarten app on your smartphone. Start keeping track of the books you read with your child. Does your child want to hear the same book again and again? It counts every time you read it! The books your child reads with grandparents, siblings, babysitters, or at story times also count. Bring your completed log or app to the Kid's Circulation Desk and get a sticker for each 100 books. Pick up a new log. Repeat. Once you have read 500 books, bring your log to the Kid's Circulation Desk and receive a sticker, a new log, and a special prize. Once you have read 1,000 books, bring your completed log to the Kid's Circulation Desk and receive a sticker, a certificate of completion, and a free book. Stop by the Kid's Circulation Desk each month and pick up a fun, simple craft or activity to take home and put together. Bring your sleeping bag, blankets, and pillows to the library and enjoy a variety of snacks while you watch a movie in our Activity Room. All ages welcome; children under 8 must be accompanied by a caregiver. Thank you to Princeville State Bank for sponsoring Family Movie Night. Come to the library for an hour of creative construction. Make something that fits the month's build theme, or come up with a theme of your own and then display your creations for the rest of the month in the Kid's Room. Children under 8 must be accompanied by a caregiver. Join other homeschoolers who want to make math fun! Using the RightStart Math curriculum games, we'll play four to six different math games covering grades K-8 each time we meet. Interested in Robotics, Videography, Photography, 3D Printing, and other STEAM related topics? Find out more about upcoming workshops and maker events here. 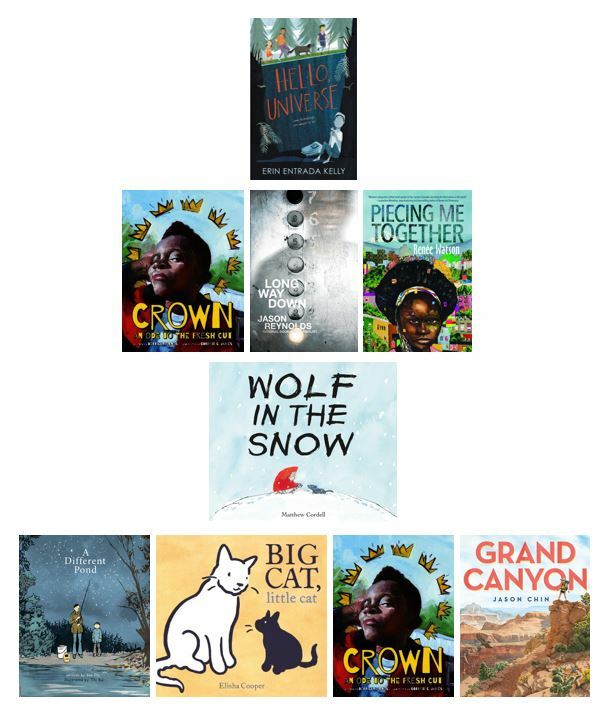 We have the 2018 Newbery and Caldecott Award Winners!